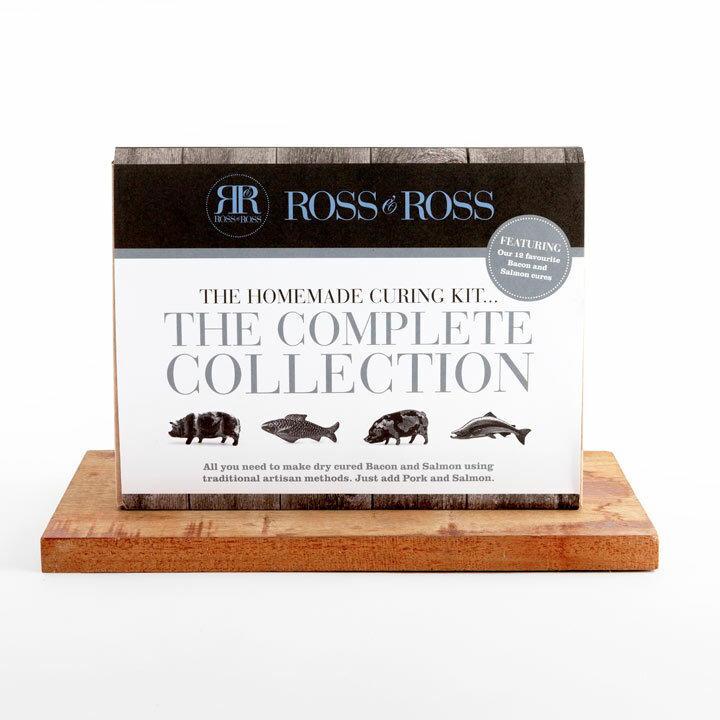 The Homemade Curing Kit… Complete Collection is the perfect gift for any occasion. A great looking gift, but also offers a unique hands-on experience for the recipient to remember. It is a perfect way to impress friends and family with newly found culinary skills. 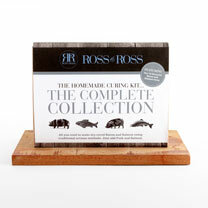 The complete collection contains a Homemade Curing Kit… XL Bacon and Homemade Curing Kit… XL Salmon. 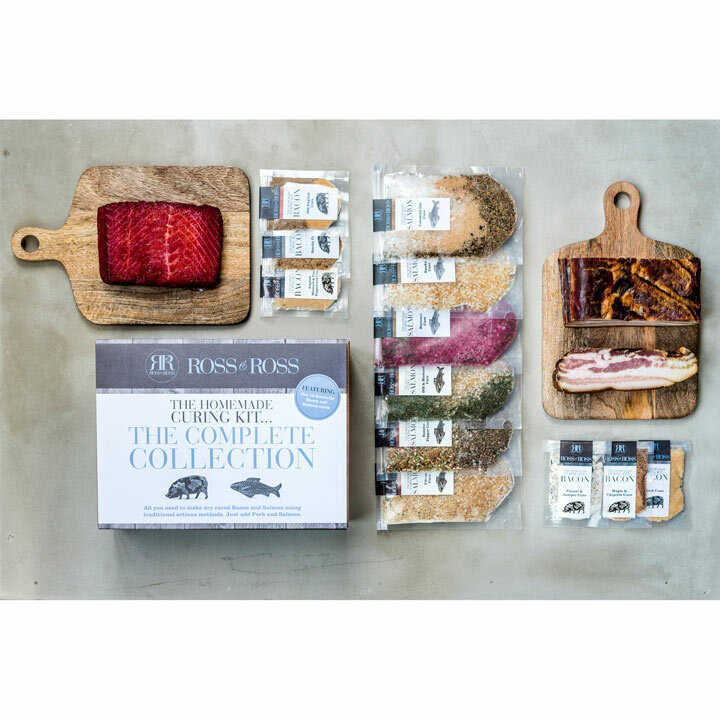 So you have 12 curing mixes to try out and discover the fantastic flavours that curing brings to bacon and salmon. 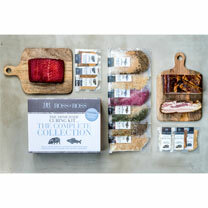 Kits include everything you need to cure your own bacon and salmon at home. Curing is any of various food preservation and flavouring processes such as meats and fish, by the addition of combinations of, salts, nitrates, nitrites or sugar. The aim is to draw the moisture out of the meat by the process of osmosis. Although it sounds complicated, it really isn't! The process is so simple and only takes 7 steps. The whole process takes 3-7 days and your Kit comes with an easy to read instructions booklet for you to follow. 6 x 30g curing mixes – Sweet, Smoky, Old English, Maple & Chipotle, Fennel & Juniper, English Mustard and Pink Peppercorn. Sweet, Smoky, Old English, Maple & Chipotle, Fennel & Juniper, English Mustard and Pink Peppercorn. 6 x curing bags: 30cm (Length) x 20cm (Width), 12 x plastic gloves, 1 x muslin: 86″ (Length) x 23″ (Width), 1 x butchers hook, Easy-to-follow instruction booklet. 6 x 30g curing salt mixes – Citrus, Dill & Mustard, Sansho Pepper, Smoky, Gin and Beetroot, 6 x Curing bags: 30cm (Length) x 20cm (Width), 12 x Plastic gloves, Easy-to-follow instruction booklet.